Founded in 1994, the company “LES ALIMENTS DÉLICES D’AUTREFOIS.” is specialized in the production and distribution of pasta sauces, home style ketchup and different marinated products to accompany your everyday meal, or to be used in the kitchen. The company is now located in Terrebonne, Québec; counts more than 50 employees, 2 plants and certified FSSC 22000 recognized by the worldwide initiative for security products, GFSI. The company was able to develop recipes from very selective and first quality products, drawing it’s inspiration from ancestral recipes and adapting them to today’s needs. For latest news and exchanges, visite our new Facebook page. DÉLICES D’AUTREFOIS’s plant adds a new production team. The company is hiring in Terrebonne and the surrounding areas. 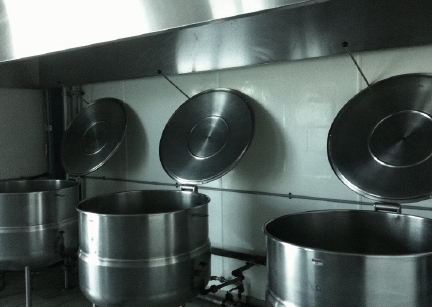 The production of pasta sauces “DÉLICES D’AUTREFOIS” doubles in order to keep up with the growing demand. The wonderful harvest of green tomatoes has arrived directly from the farmers. The Green Ketchup of DÉLICES D’AUTREFOIS is pure delight. Trying it, is adopting it! You will find this product in the Fruit and Vegetable section of the IGA and Metro stores amongst others.